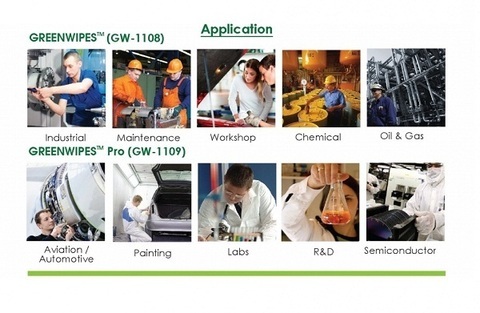 Greenwipes Box 400 Sheets Industrial Multi-Purpose Wipes..
100% Made from recycled material, 95% savings on scheduled waste, 3x times capacity of cotton rags. 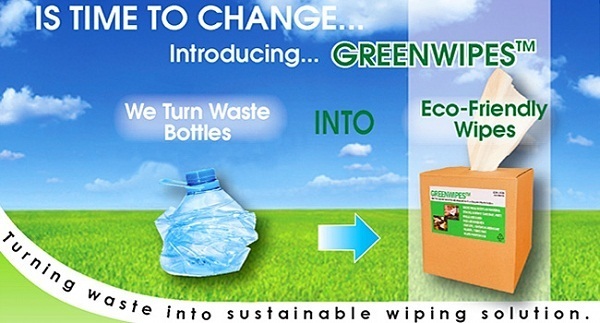 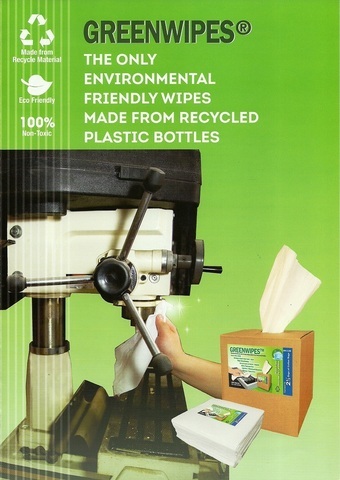 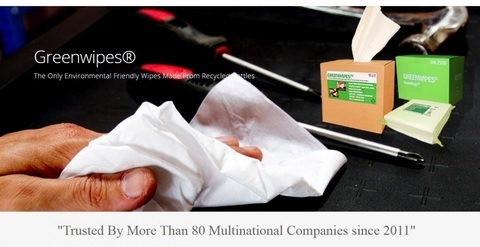 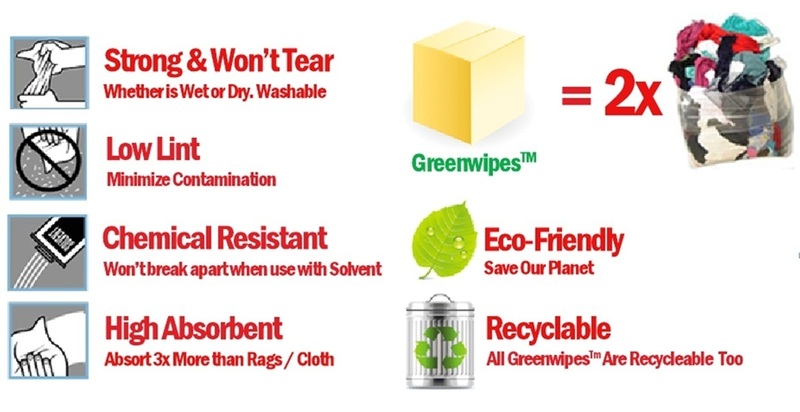 100% Environmental Friendly Wipes Made From Recycled Plastic Bottles. 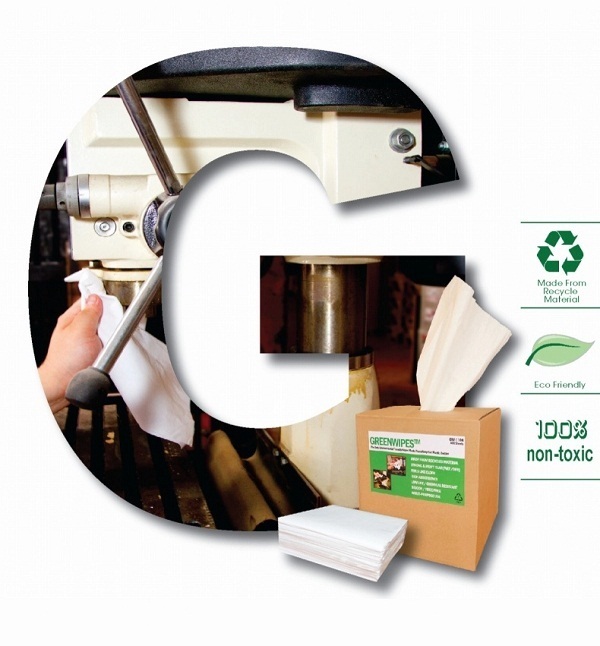 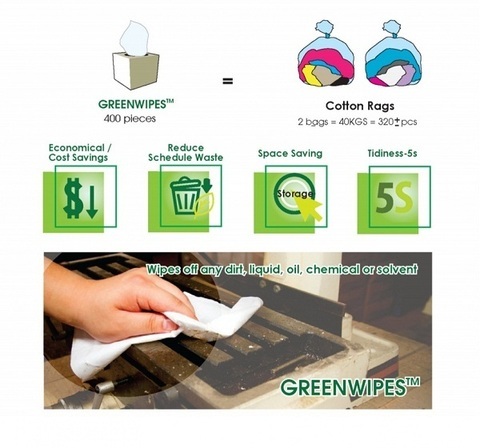 Greenwipes Box is an ultra-strong & high absorbing multi-purpose cloth that is ideal for cleaning, wiping products, machines and workplaces.